Your dog is a beloved member of the family, and you worry about him just as much as your two-legged loved ones. With the Furbo Dog Camera, you can keep an eye on all of them while remaining productive at work or enjoying happy hours, late-night shows and, holiday parties with complete peace of mind. Read More about our Furbo Review! How many messes has that adorable puppy made while you were away from home? 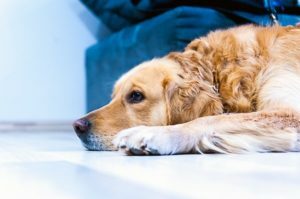 We all know that even well-trained dogs can act up when their humans aren’t around to supervise, and it’s partially due to anxiety, boredom and excess energy from being cooped up in the house alone all day. Do you wonder what your dogs are up to when you’re away? Sometimes, the guilt of leaving them alone at home is hard to shake when you return at the end of the day and they’re waiting for you at the door with wagging tails. And if you need to travel for an extended period of time, the guilt is tripled. 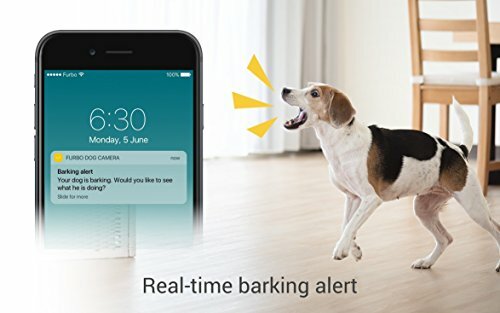 Maybe your neighbors always complain about your dog always barking when you’re out. Wouldn’t you like to know what is causing the problem so that you can fix it? It’s difficult to correct canine behaviors that occur when you’re not at home because you simply don’t see what’s going on. 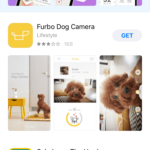 If you’ve ever found yourself in similar situations, the Furbo Dog Camera might just be what you need to make you and your dog happy and feel secure. 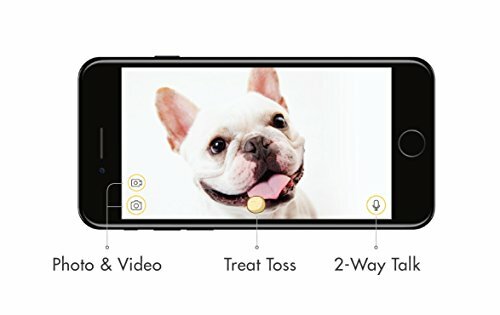 This is a great product to connect with your pet while you are away! 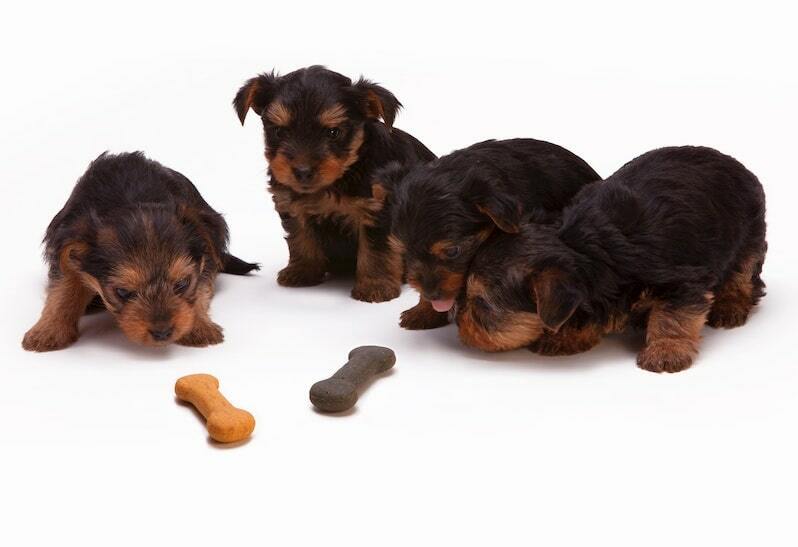 Dogs catch on very quickly to the treat dispensing! With a spotty connection this device is difficult to interact with. The dogs like the Furbo treats and caught quickly when using the device. Not the best device for a large space because the highest volume setting is not very loud. 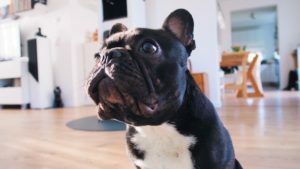 We decided to write a Furbo dog camera review because we’ve seen how it can solve serious problems for modern dog owners. Imagine never having to social events early because you need to rush home to check on your dog. You’re free to enjoy your event while your pet remains one video chat away if needed. 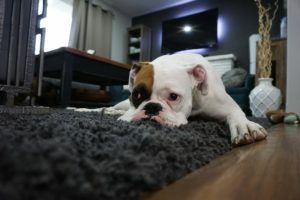 The home camera market is expanding rapidly, but not all home monitoring products are suitable for watching and protecting pets. 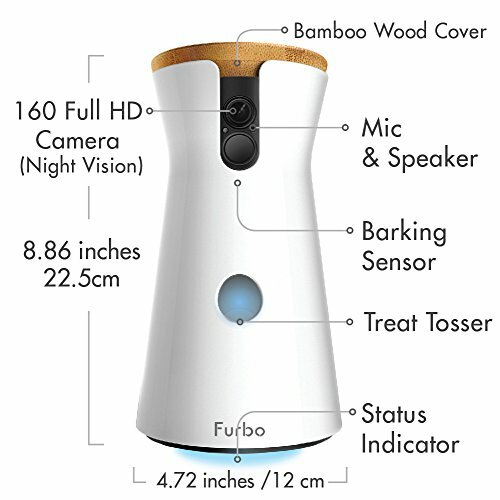 The Furbo dog camera is unique because it was designed with your dog’s needs in mind. With the Furbo’s two-way communication, hearing your voice can automatically calm your dog when he or she is feeling anxious. 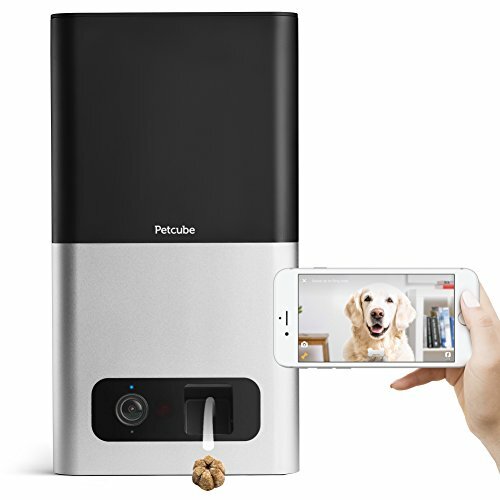 It allows you to interact with your dog throughout the day, delivering treats in real time with its ingenious treat tossing capability. With a simple click from your Furbo app, treats flying out of the Furbo which can help lessen boredom and loneliness for both of you. 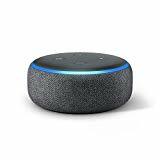 This makes bonding with your pet easy, and you can even connect it into your Alexa network to schedule treat deliveries when you’re too busy to do it manually. No matter where you are, checking up on your dog throughout the day can cut back on messes and destructive habits while assuring your dog that you’re always “nearby”. Consider the story of a yellow lab named Scooter. 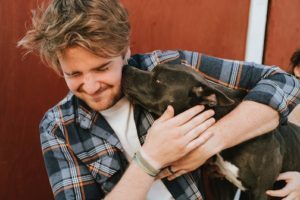 His life changed for the better the day a newly divorced mother, Maria, walked into the animal shelter and locked eyes with him from the back corner of his kennel. He seemed to fit right into the family and enjoyed playing with her children over the weekend, but when Maria returned from work on Monday evening, she was greeted with a mess of torn paper, feces, and urine stretching from the front door to the back door. Knowing that Scooter was probably suffering from separation anxiety and perhaps other emotional issues stemming from the abandonment in his past, Maria installed the Furbo Dog Camera right away. She received real-time notifications when Scooter started to jump, run, bark and whine, giving her the opportunity to soothe him through video chat and toss him a reassuring treat before his anxiety turned into another mess. Maria had to intervene in Scooter’s anxiety attacks less and less until she was using the Furbo pet cam and treat-tossing system more as a reward than a reassurance. 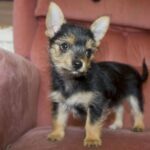 Her story is similar to many other Furbo users who have successfully utilized this system to train, calm, protect and love the four-legged members of their family. Using the higher resolution setting makes the connection slower and sometimes sound does not come through. 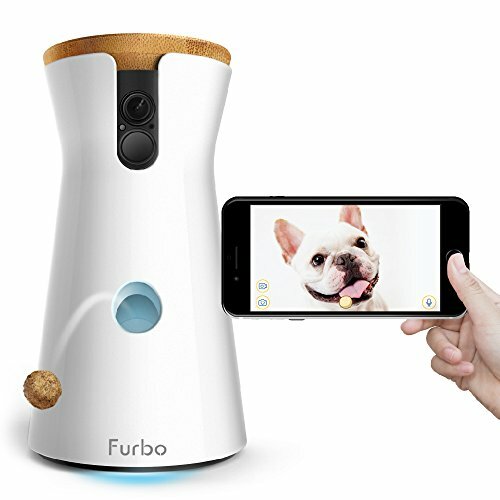 If you’re in the market for a dog camera, Furbo delivers a collection of products in one sleek package. The device contains a camera, treat dispenser, microphone, speaker, motion sensor and alert notification system in one durable shell that sits safely on any table. 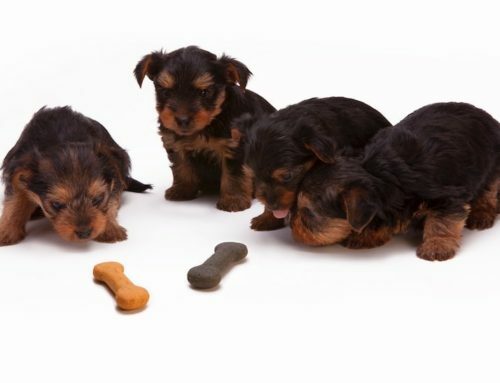 It weighs about two pounds and will hold up to 100 small dog treats. It’s also easy to use, so refilling the treats or repositioning the camera will never consume a lot of time. We captured a video with our lovable test dog Diesel. See the video captured using our iphone with talking to Diesel in action. He quickly learned to hang around the camera when the treats were dispensed and would look to the camera when we spoke to him or dispensed a treat. The Furbo app is well-designed and functions with iOS and Android devices. 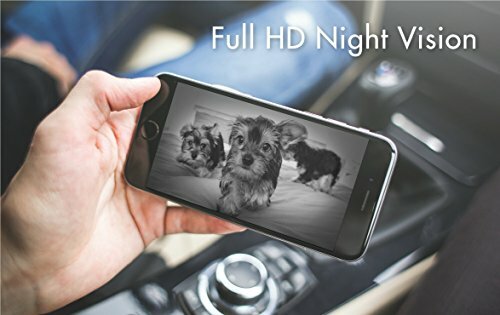 The high-quality camera includes night vision, wide-angle views, and live streaming. We’re also impressed with the innovative dog-recognition technology and the cell phone push alerts that make dog ownership less stressful. 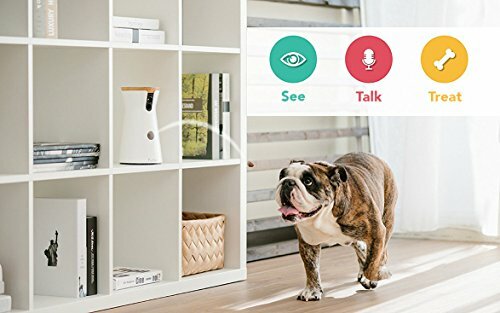 If you use Alexa in your home, you can connect your Furbo Dog Camera into the network. This allows you to schedule automatic dog treat dispenses throughout the day. 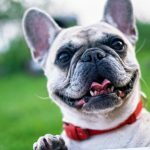 With a bit of planning, you can give your dog the attention that he deserves all day and night without stopping what you’re doing to deliver the treat command through the app. 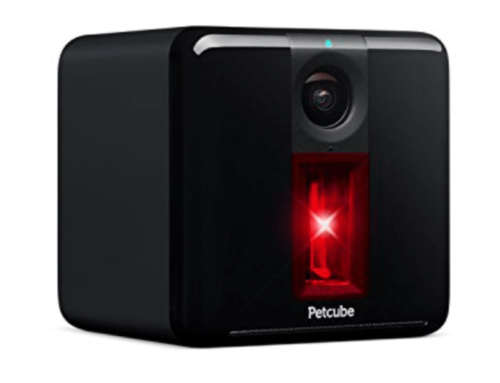 Pet owners are excited to go from their first Furbo login to live footage of their dogs sleeping or playing at home. 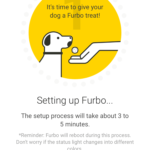 Sending those pets a Furbo treat with the push of a button only adds to the excitement, even if there is a slight delay between sending the command in the Furbo app to the treat flinging out of the Furbo treat dispenser back home. Furbo users appreciate that the camera delivers close-up images as well as long-shot views that go up to 15 or 20 feet. They also feel more secure with this system in their homes because the alert system picks up any loud noise, including carbon monoxide and smoke detectors. Some Furbo Dog Camera users have declared this a life-saving device for this reason. 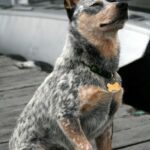 Other Furbo Dog Camera users talk about stressful situations that were made easier because they didn’t have to worry about their pets on top of everything else. They could check the live video footage to see and talk to their dogs, taking one worry off their shoulders instantly. Most of the complaints about Furbo reveal that the system isn’t suitable for all dogs or households. Owners of large dogs are sometimes disappointed that the Furbo treat dispenser only holds small treats. Some dogs never catch on that the treats are released from the Furbo unit, and other dogs are slightly scared by the mechanical noise that precedes a treat delivery. 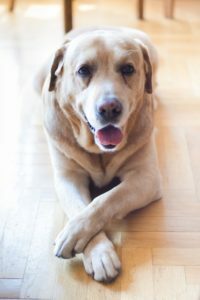 These aren’t issues that impact every dog, but pet owners should always consider the temperament and personality of their dogs before purchasing products for them. Download the Furbo app on your phone, tablet, or another portable device. If you have trouble, contact Furbo customer service right away. 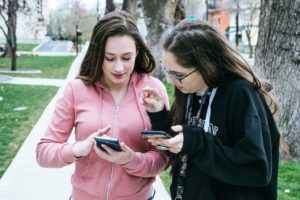 Their customer service representatives are knowledgeable and responsive, so they should have you connected to the app quickly. Some users have to call their phone service provider to allow access to the app, but that’s rare. Plug the Furbo camera and treat dispenser into a wall outlet. 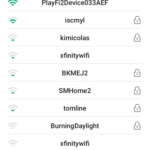 Select an area of the home that your pet frequents but which is also relatively close to your Wi-Fi router. 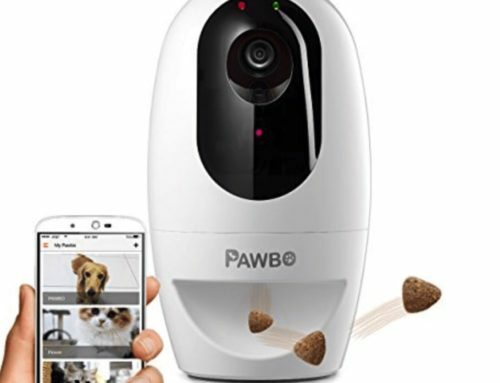 Connect the Furbo camera and treat dispenser to your Wi-Fi network. 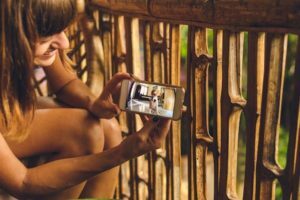 Once it’s online and the camera is turned on, your live video stream should begin. 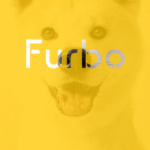 Enter your Furbo login on the app to see your pet instantly. Think of this as an entertainment center designed just for your pet. 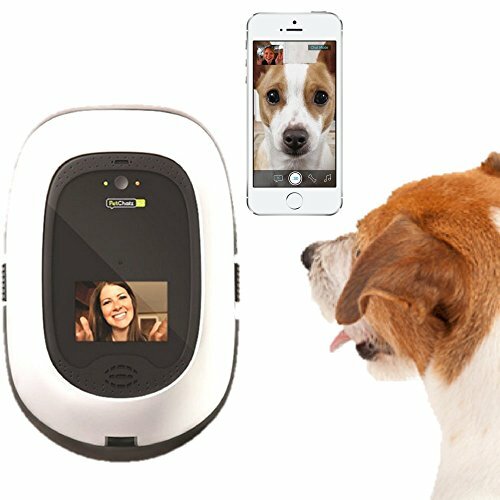 It includes two-way video chat and a treat dispenser like the Furbo camera, but it adds aromatherapy to calm an anxious or excited dog and DOGTV to provide all-day entertainment. With the “PawCall” feature, you and your pet can even leave messages for one another. 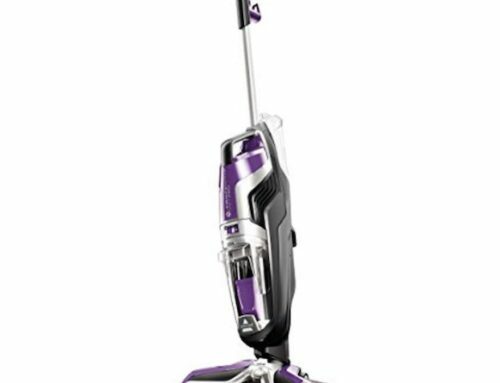 This is a more expensive option, but it comes with some advanced features that you can’t get with the Furbo. This Alexa-compatible pet camera with night vision, two-way audio, and alerts for motions and sound is comparable to Furbo in design. 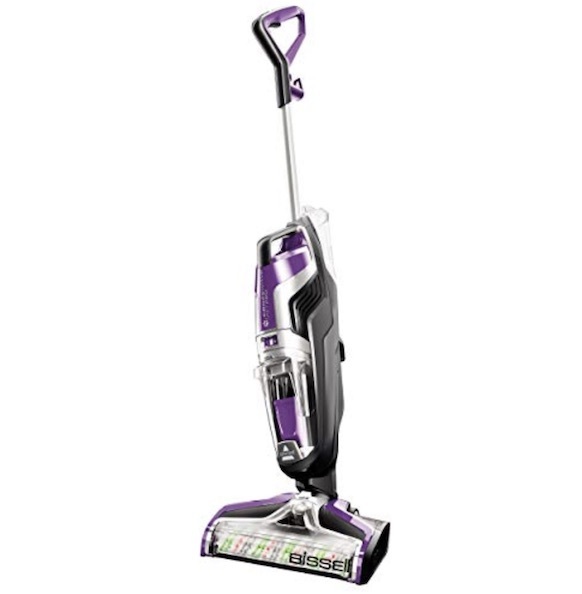 It includes a pet treat dispenser and comes in three color options. The dispenser flings one large pet treat or up to three smaller treats each time the command is sent. 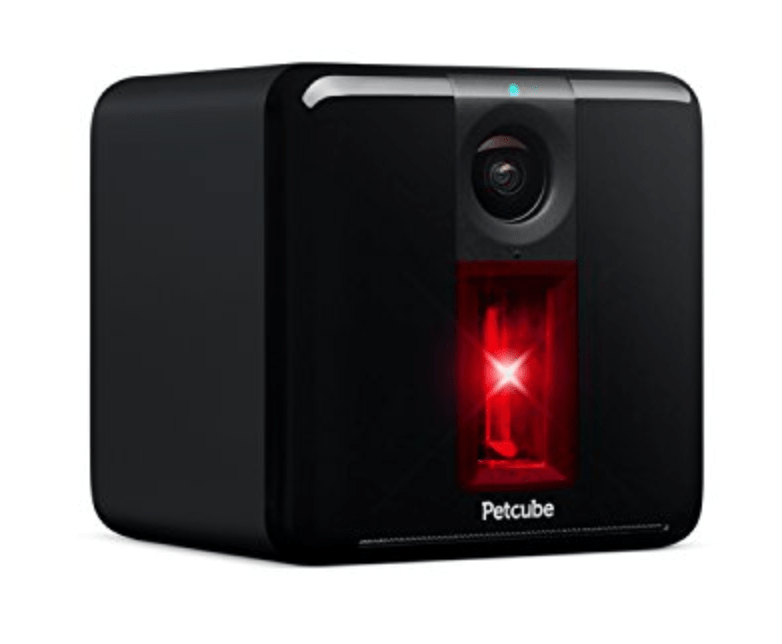 Q: Can you put the Furbo Dog Camera in any room of your home? A: The Furbo video and treat dispenser will work well in any room that has a wall outlet and a strong Wi-Fi signal. If you have a large home, you may find that the camera works best when placed relatively close to the router. Q: Why doesn’t my Furbo show a green light when plugged in for the first time? A: It takes about one minute for the Furbo unit to go from a white light to green light when first plugged in. If you continue to see a white light after one minute, try unplugging the unit from the wall and then re-plugging to start over. If it remains white or turns purple, you may need to reset your Furbo unit. 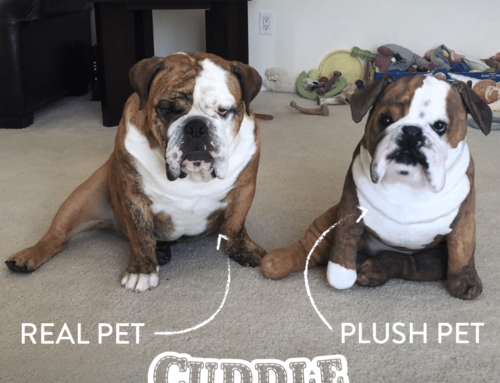 Q: How do I reset my Furbo Dog Camera? A: There is a small button on the back of the Furbo dispenser that is labeled “reset.” Use a straightened paper clip or the end of a pin or toothpick to press that button while the unit is plugged into the wall. The light at the bottom of your Furbo should turn to green within 10 seconds of holding the button. Q: What does a purple light at the bottom of my Furbo mean? A: The purple light means your dog camera Furbo isn’t connected to your Wi-Fi network. Try troubleshooting your connection to turn the light green. 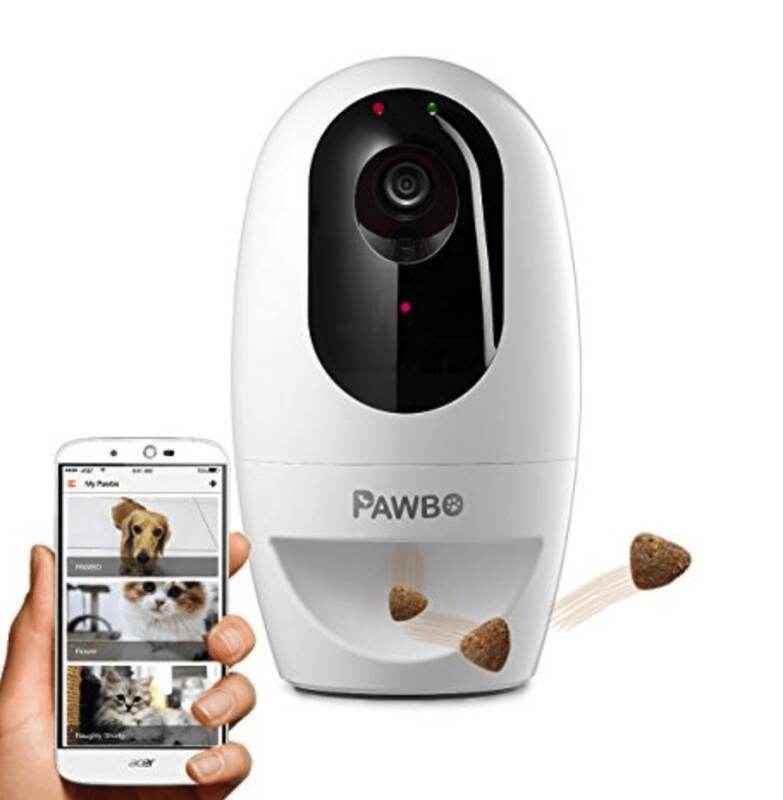 Q: Will the Furbo pet cam work with cats? A: While the Furbo isn’t marketed to cat owners, it will work with any pet that enjoys small treats and needs monitored. Q: How many people can use my Furbo login? A: You can share your Furbo app login information with as many people as you want, but only two people can view your live video footage at one time. Q: What kind of Furbo treats will work with this system? A: Most small dog treats will fit in the Furbo treat dispenser. Try to select treats that are dry, circular and firm. This will ensure that the treats aren’t crushed and don’t stick together while in the dispenser. Round shapes will fling the best. We’re featuring the Furbo dog camera because it’s one of the most exciting technological advances in the pet industry to date. Our mission is to help pet owners take better care of their dogs while stressing a little less, and this is one product that has great potential to do that for owners around the world. 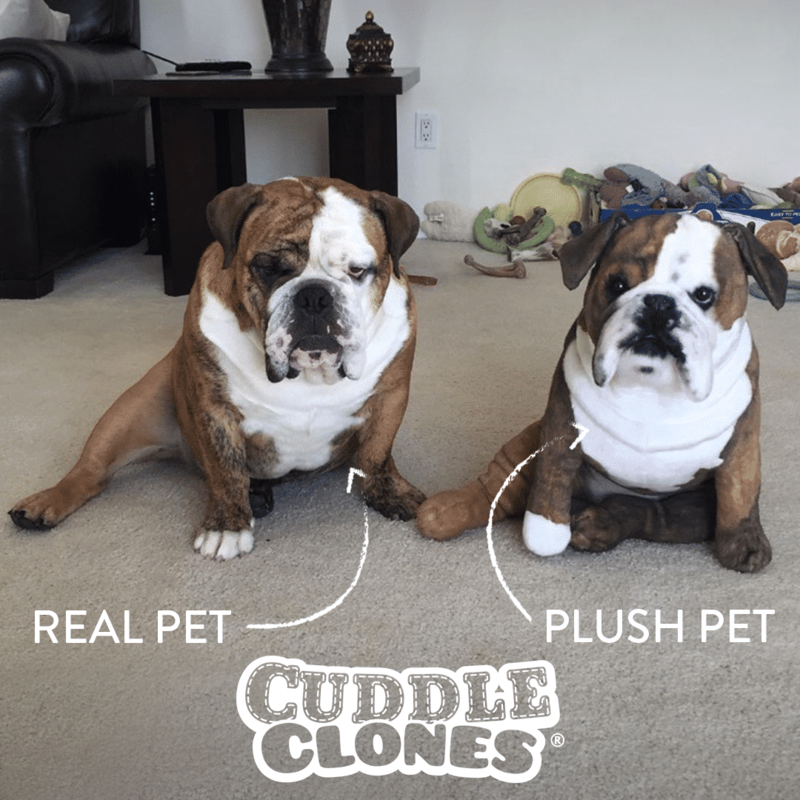 We only offer 100 percent genuine pet product reviews, and that includes the valuable information included in this Furbo review. Allow us to help you make educated decisions when it comes to your pet’s health and safety.